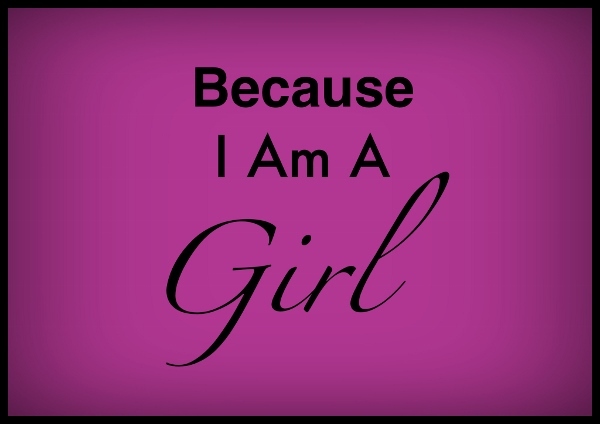 If you would like to see some more of my writing then you can read the blog I wrote for the charity, ‘Because I Am A Girl’. They are an awesome charity that I have written about before on the site. The charity aims to get all girls around the world into education. Their slogan is ‘Empower a girl. Transform a community’. There are 66 MILLION girls worldwide that are denied an education and many times that is because of their gender! Because I Am A Girl, raise funds to significantly decrease that, frightening, number. So if we think about it, globally, one in five girls is denied an education! How scary is that? Supporting girls’ education is one of the single best investments we can make. The power of education is amazing. It saves lives and transforms futures! Just one extra year of school can increase a girl’s potential income by up to 25%! Women with an education are twice as likely to have children who survive to their 5th birthday, compared to women without an education! Because I Am A Girl are asking you to ‘Raise Your Hand’ in support of girls’ education. With just a couple of clicks, you can support their efforts to ensure that quality education for girls is brought to the centre of the global agenda. Help them reach one million – they’re half way there already! If you can manage to donate some spare cash to this charity, you will be helping break the cycle of poverty. You will be literally changing people’s lives by the click of a few buttons!